3 Seamlessly access survey result data in your marketing database. 3 Segment consumer interactions based on survey actions and responses. Often times companies struggle finding usefulness from surveys because their data and responses are stuck in their survey system, isolated from their marketing database. Leaving users having to try and manually import their data in order to make use of it. 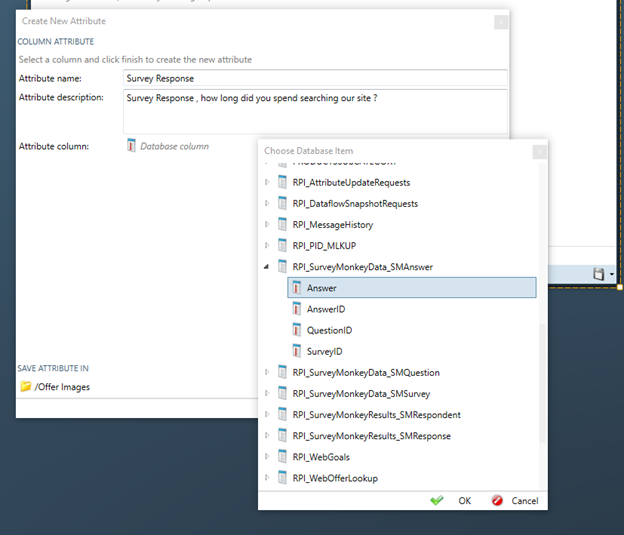 Utilizing RPI's SurveyMonkey App you can not only integrate your surveys directly into your offer creations, you can also seamlessly import responses back into RPI, allowing you to act without delay on your responses. 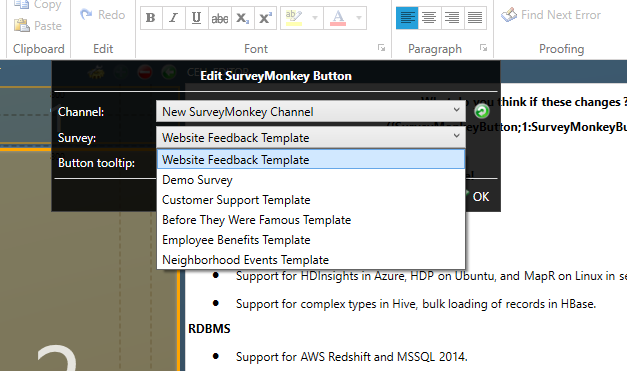 First, when creating an email offer you are presented the option to insert a SurveyMonkey element. 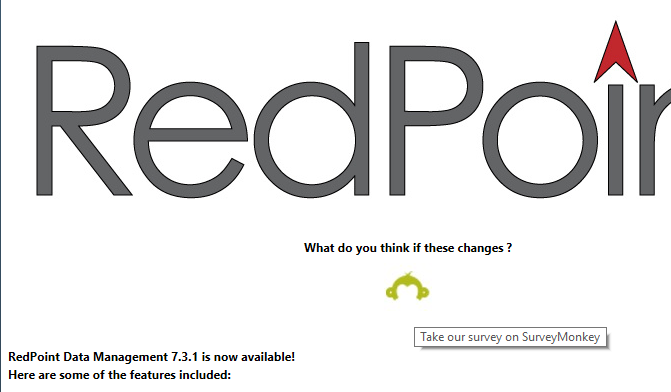 This tool will present you with all the active and existing surveys within SurveyMonkey for you to select. Once complete, the survey link and image will be embedded directly within your offer. As respondents take your survey, data is automatically collected and is available for use as attributes to build selection rules. These selection rules can then be used for future offers or within the same interaction workflow for automated follow-ups to your respondents, completely personalized based on their answers to your survey!